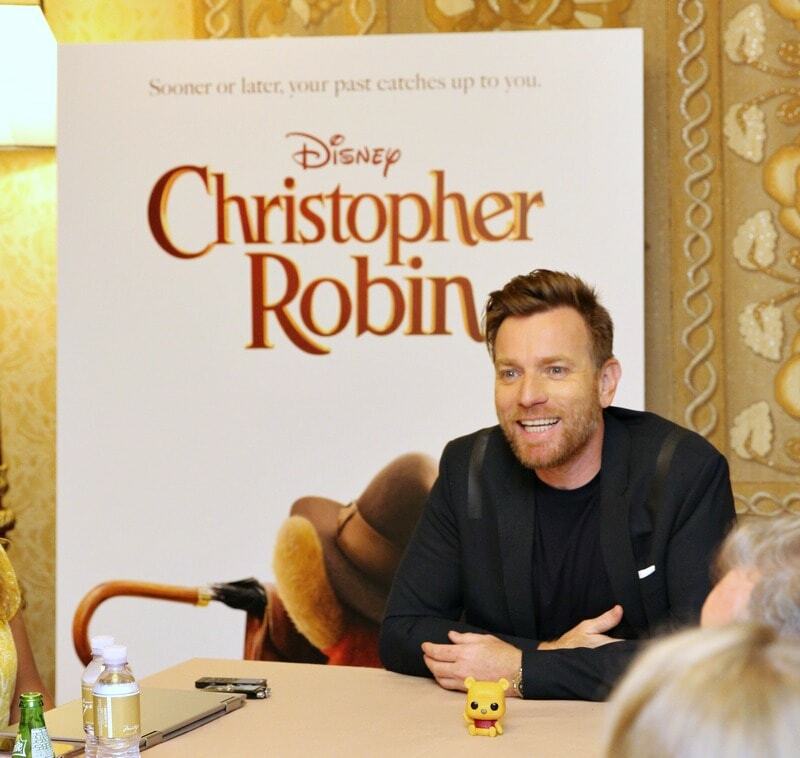 Having an opportunity to interview Ewan McGregor about his experience as the title role in the new Disney movie, Christopher Robin, was a fun way to peek behind the scenes of the movie and learn about more about the man who brought to life the adult version of such an iconic character. Thanks to Disney for inviting me to the #ChristopherRobinEvent in exchange for my thoughts and opinions on the movie. Christopher Robin opens in theaters everywhere on Friday, August 3rd. It’s a gorgeous film that is great for families to see together! One of the things I always like to find out when I have the chance to interview celebrities is how they first got involved with the movie. Casting is an intriguing process for me and the actors and directors usually have some great stories. 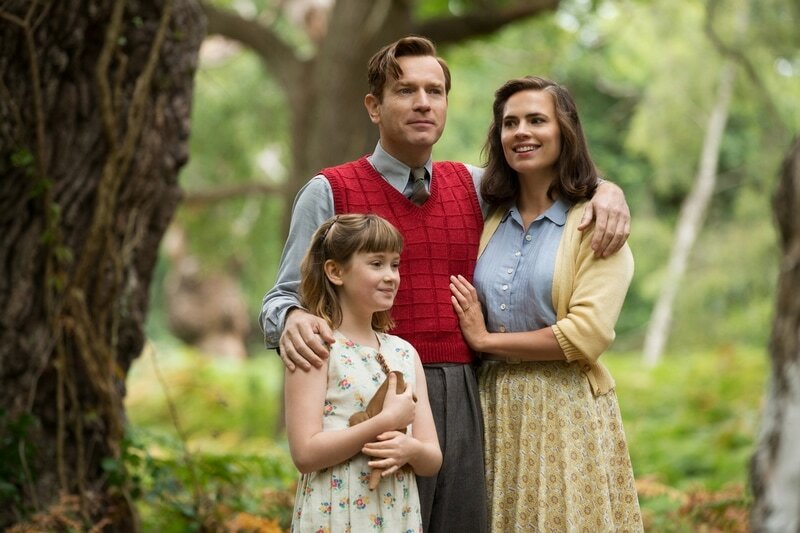 I cannot wait to share more about how Hayley Atwell, who plays Christopher Robin’s wife Evelyn Robin, first learned about the project! I’ll be sharing our interview with her next week! 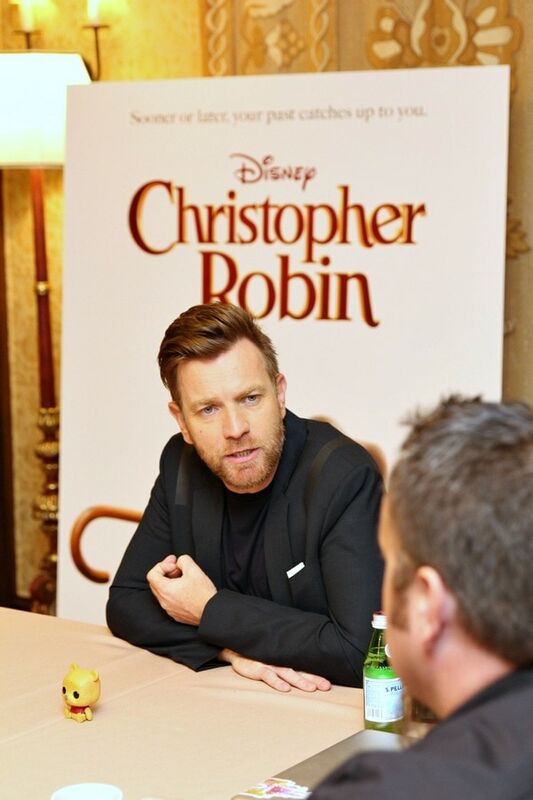 But I loved the story Ewan McGregor shared with us about how he came to be Christopher Robin. Ewan McGregor and Director Marc Forster worked together in 2004 on a movie called Stay. From that time on, they stayed in touch and knew that they wanted to work together again. When this project came up, Ewan shared with us that the way Marc spoke about it is what inspired him. And he just felt like he knew Christopher Robin when he first read the script. That was the beginning of something beautiful. You can read more about it when I share our interview with Marc Forster next week! The friendship between the two men lead to an almost collaborative feeling and Ewan not only played Christopher Robin in the film, he also worked on some of the technical aspects! WHO’S HIS FAVORITE WINNIE THE POOH CHARACTER? Everyone seems to have a favorite Winnie the Pooh character (or maybe a few favorites), so we had to find out who claimed the spot of favorite for Ewan McGregor. Pooh was a clear winner and Ewan said a lot of that is because he spent most of his time with Pooh. But he also mentioned Eeyore and Kanga. I loved the qualities he mentioned liking about these characters. Eeyore – Funny and just so depressed. He’s so depressed that he makes you happy. I have to agree with him about Eeyore. In Christopher Robin, Eeyore is one of my favorite characters. His wallowing is written in a way that adds humor to the film. I think we can all relate to the feelings that Eeyore experiences but they’re just so exaggerated that we all feel like we can laugh. I felt like the whole film had a quality of comfort to it. While watching, I felt like I could relax and just enjoy. There is a gentle ease to the story as it flows along. 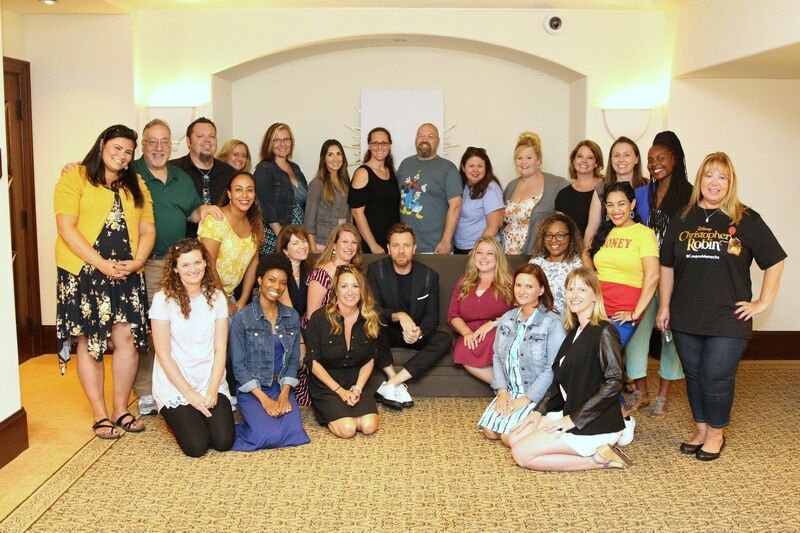 In the interview, Ewan echoed that the feeling also extended to how it felt on set. The atmosphere on set was “lovely” and he said Marc Forster listens to the actors. 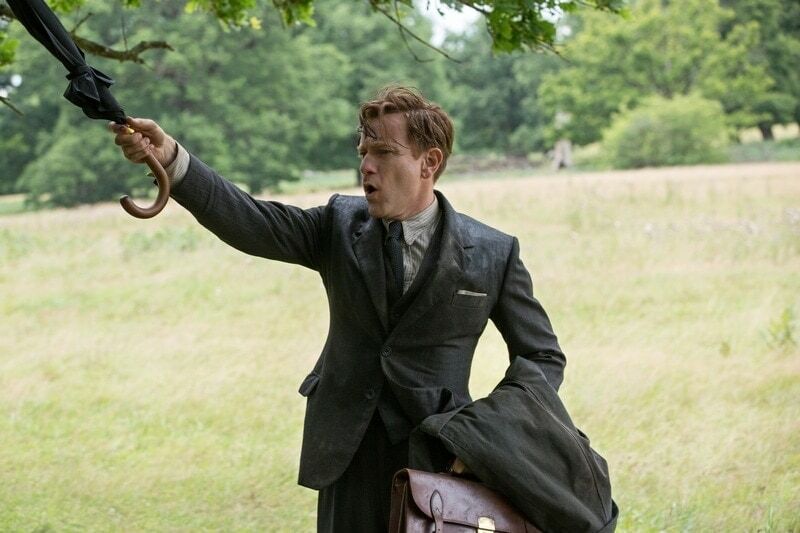 Ewan felt like he had room to be able to play Christopher Robin the way he wanted and collaborate with Marc in the development of the character. Plus, they filmed the movie in some gorgeous locations and he got to hang out with Pooh all day! When Ewan McGregor speaks about the movie, you can tell he really believes in the film. 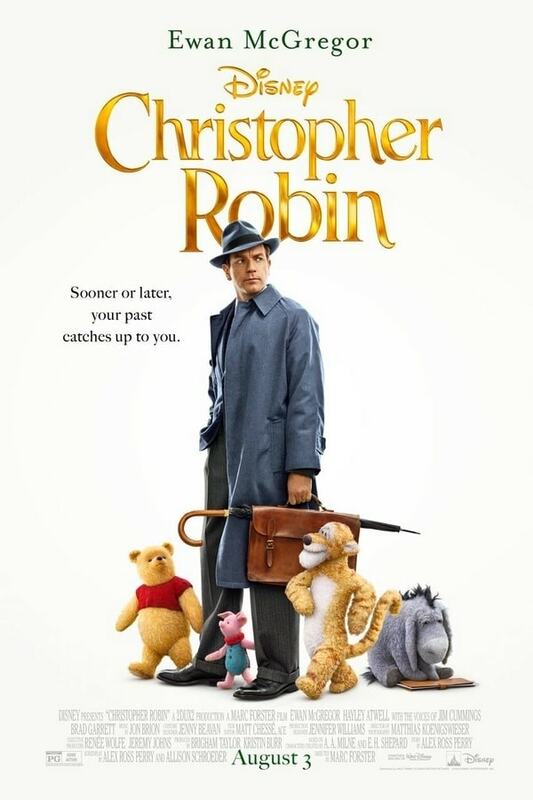 So what messages does he hope people take away from seeing Christopher Robin? He echoes one of the themes of the movie and it’s one of my favorite themes. I think with our busy lives, we can all use a reminder of what’s really important in our lives. He mentioned that there’s just something nice about it. I think we can all agree. 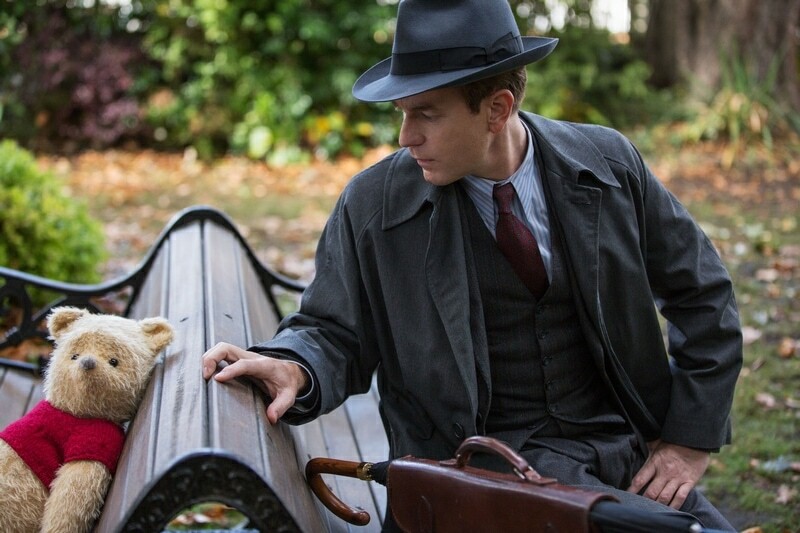 Check out Ewan McGregor as Christopher Robin with Winnie the Pooh in this clip from the movie! The movie opens in theaters everywhere this Friday! Be sure to make plans to see it with your family! If you’re excited about seeing Christopher Robin, you might like to see what the red carpet premiere party was like and check out some of my favorite Winnie the Pooh quotes too! You can connect with Christopher Robin online too! It really makes a huge difference when the director and actors are in sync. The collaborate nature of the working relationship between Ewan and Marc was fascinating. Great insights.